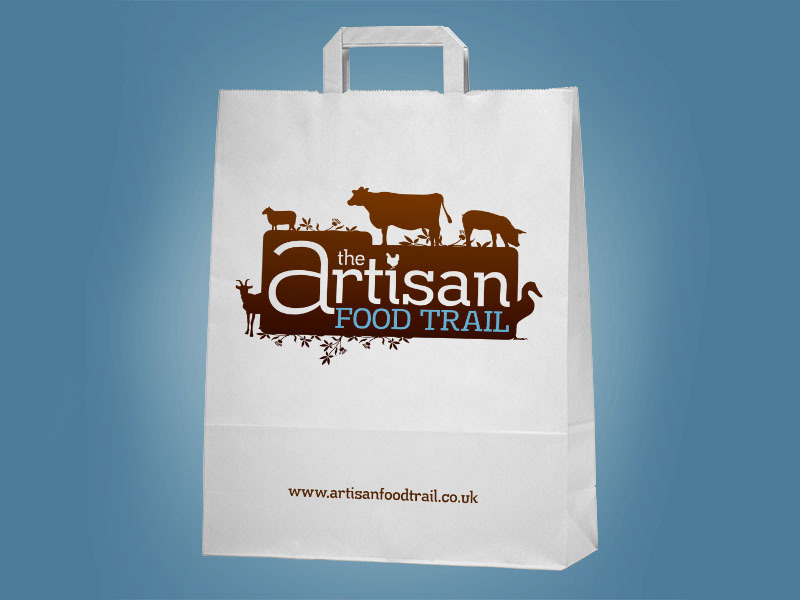 The Artisan Food Trail have teamed up with quality printers across the country that are able to offer us some great print prices that will help your budget go that little bit further. The best prices are only available for members, but non-members may still find that we can help save you money. We don’t offer the absolute bottom prices – we’re sure you’ll find those through any number of online automated websites. The prices we have reflect quality and value – we have saved over 50% on some members’ ongoing print costs! 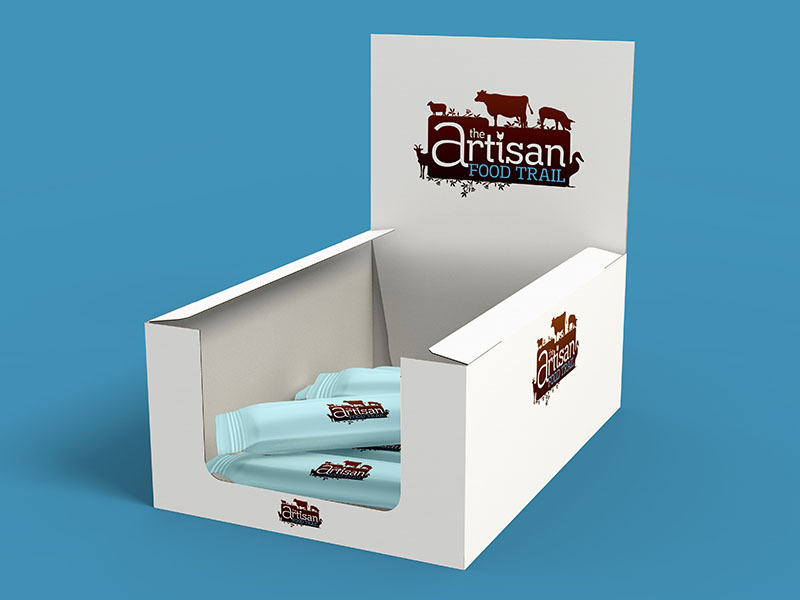 Along with all of the usual print, we also have associations with specialist packaging and label producers, so if you’re looking for something different, enviromentally friendly, innovative or need advice, The Artisan Food Trail can put you in contact with people that can help. Our print associates are able to print from your existing artwork (subject to it meeting their print ‘ready for print’ specifications). If you don’t have artwork and need help, we’re able to help with this too. One of the biggest requests we have when it comes to print is for labels. With smaller producers the quantities required are often in the lower numbers and this is often a problem when it comes to cost as many companies lower quantities can start at 10,000 labels. We’re pleased to say that we can supply labels in quantities as low as one for a test jar right through to production quantities in any multiple of numbers. We have available a number of standard label products (see chart below), and these can be supplied as sheets or rolls – these can even be laser cut to any shape you require. With so many types of label and an infinite number of bespoke sizes, contact us if you would like a quote. Members are eligible for an additional 10% off quote price. The chart below shows only our standard material label range, if you are looking for something specific or bespoke, we will still be able to help – contact us to discuss. If you are a UK artisan food or drink producer you could benefit in any number of ways by becoming a member.